Nicholas Jonas is the self-titled debut solo album from American singer Nick Jonas. It was originally scheduled to be released in December 2004, but it was pushed back. It later received a limited release. 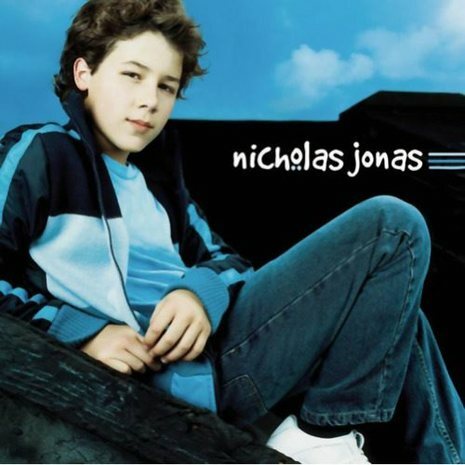 After the Jonas Brothers were signed as an act to Daylight/Columbia Records in 2005, Nick put his solo career on hold. They released their first album, It's About Time, on August 8, 2006. Two singles, "Dear God" and "Joy to the World (A Christmas Prayer)", were released in Fall 2004. The album also featured earlier cuts of later Jonas Brothers songs like "Time for Me to Fly" and "When You Look Me In The Eyes", and it also featured a cover of the Steve Winwood hit "Higher Love".